Tired of waiting for suitable ocean conditions, Luke and Jessica planned an early season day trip to a freshwater lake a couple of hours from home. 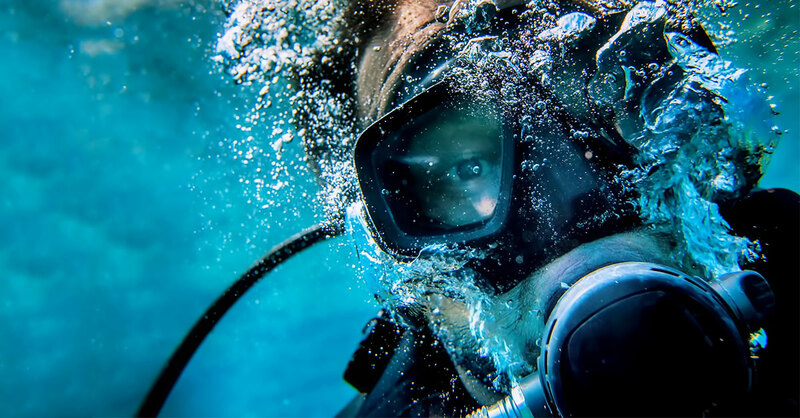 Their dive site research indicated depths up to 20 metres/65 feet available from shore; visibility averaging 10 metres/33 feet and temperatures a bit chilly at about 7°C/45°F. No problem with their 5mm neoprene drysuits. They geared up on a crisp sunny morning and made their way to the water’s edge for a buddy check. 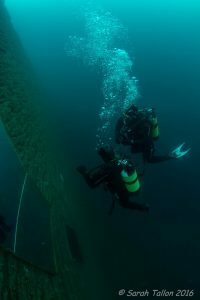 This was their first dive at this site, so they planned a maximum depth of 15 metres/50 feet and simple out and back navigation. Luke was bringing his GoPro and would film Jessica at points along the way. The dive started well and the buddies made their way out side by side. After a few minutes, they came to a rocky ledge that dropped quickly from 5 metres/15 feet to 15 metres/50 feet. Luke signaled Jessica and scooted ahead a bit so he could turn and record her as she descended to join him. Jessica was concentrating on looking like a model; trying not to stare straight into the camera. When she next glanced up at Luke, she thought he was acting a bit funny; he seemed to be shrugging and pointing at his regulator. She swam over for a closer look and at first couldn’t figure out what was wrong. After a few long seconds, she realized that Luke had a freeflow – a continuous stream of bubbles kept coming from his first stage even when he was breathing in. She signaled to ascend and the pair headed straight up to the surface. They inflated their BCDs and then Jessica turned off Luke’s cylinder valve to stop the freeflow before they swam in together. Luke was down to 50 bar/750 psi. As they discussed the dive a few things stuck out. First, they had talked about the possibility of a regulator freeze up and freeflow briefly, but they had not seriously expected any issues given (they thought) the adequate water temperature and relatively shallow planned depth. Next time they would be more careful. Second, they discussed the time wasted due to confusion over Luke’s signals. This wasn’t a dramatic, blow the regulator out of your mouth type freeflow incident. 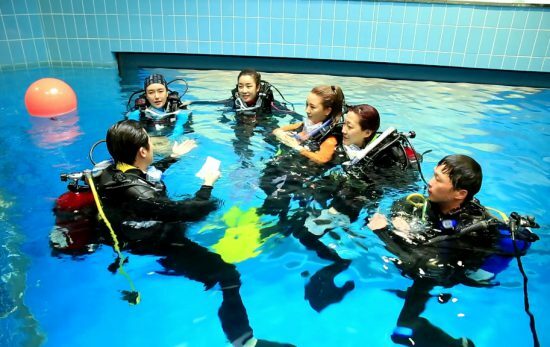 In fact, it was a lot “gentler” than the freeflow breathing they practiced on the Open Water Diver course. Luke hesitated to signal “something wrong” because he wasn’t sure for a few moments that he actually had a problem. They both agreed that he should have immediately given a clear “something wrong” signal and indicated the source of the problem by pointing to his second stage. They were both amazed and a bit alarmed at how rapidly Luke’s air supply vanished. They estimated that he had more than 150 bar/2250 psi prior to the freeflow. He lost 100 bar/1500 psi, half of his overall supply, in the few minutes it took to identify, communicate and address the problem. They were relieved the incident occurred early in the dive. 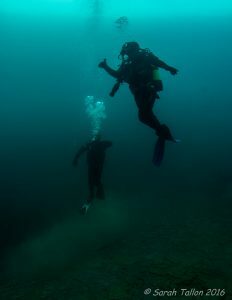 They also realized that had they followed a few additional steps before and during the dive, they could minimize the risk of freeflow by making sure to not “test” purge their kit on land, taking test breaths underwater in shallow water before the dive instead of on the surface, and, significantly in this case, maintaining a slow relaxed breathing rate (i.e. not scooting ahead down a drop off to the deepest point of the dive to get a good shot). Finally, neither of them had regulators specifically adapted for cold water diving. They determined to get and use appropriate regulators for all dives in water cooler than 10°C/50°F. 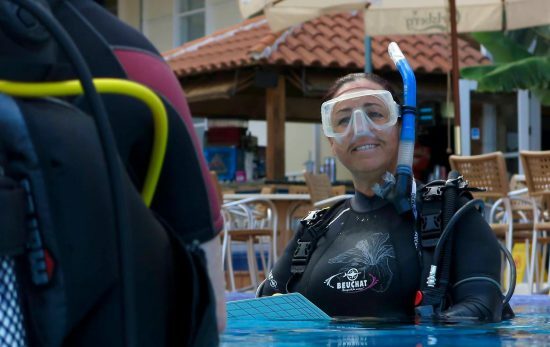 To continue your dive education and learn more dive training tips, contact your local PADI Dive Shop.